We said we’d go back and we did. 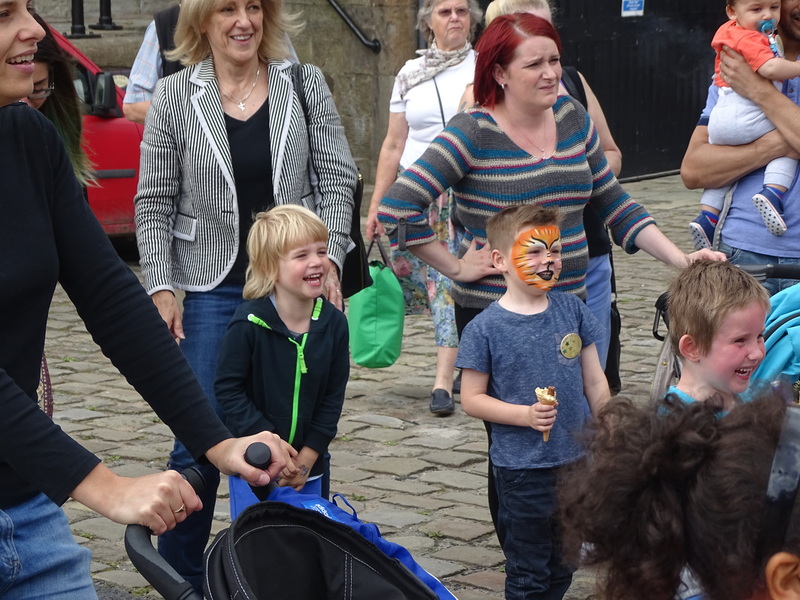 A short train ride from East Lancashire and a walk from the vintage station, crossing the river, and along by the canal to the wonderful play area (where all I heard were southern accents, not a local one in earshot). Then a stroll into the town centre – which seems to have recovered from the floods. Watched the ducks, which seem to have multiplied since our last visit and have made one side of the river bank a virtual no-go area with all their excrement, and listened to a busker nearby. We had a decent lunch, did a bit of shopping, the rain held off and we enjoyed the relaxed vibe before heading back across the border. 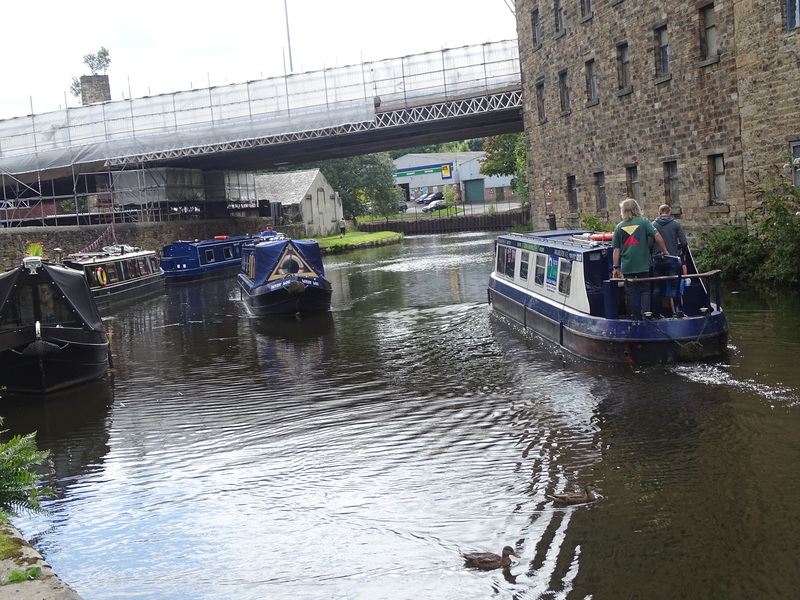 As it was such a lovely day last Monday I set off to visit Skipton with the primary aim of taking a walk along the Leeds – Liverpool canal as well as photographing all the narrow boats that converge in the basin virtually in the town centre. A wrong turning on the outskirts of the town meant I ended up driving towards the town via a circuitous route. Whilst at first this was a bit of a bind it tuned out to be a very fortuitous “wrong turning” as I came across the “Keelham Kitchen”, an out-of-town farm shop (a very big one) selling meat, fruit / vegetables and a particularly wonderful selection of Yorkshire beers. 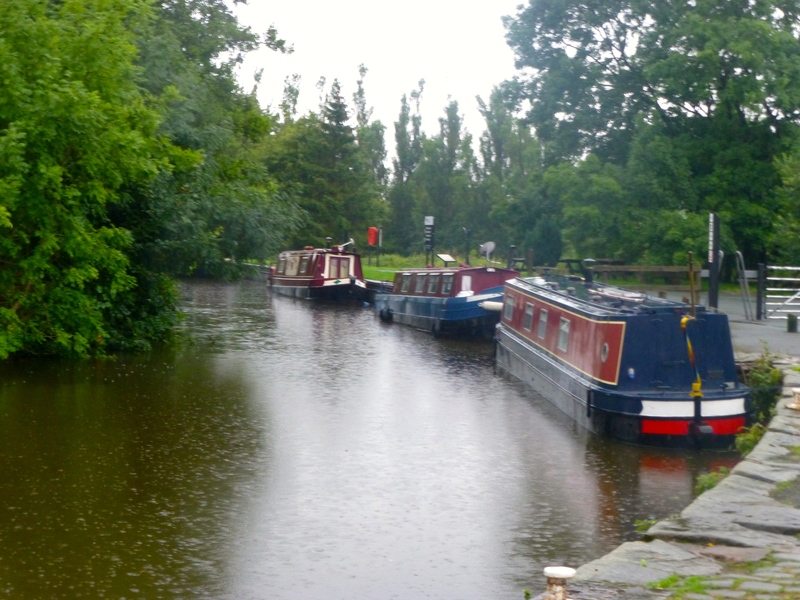 Driving back from Skipton I couldn’t resist taking a couple of quick shots of the boats on the Leeds to Liverpool canal. 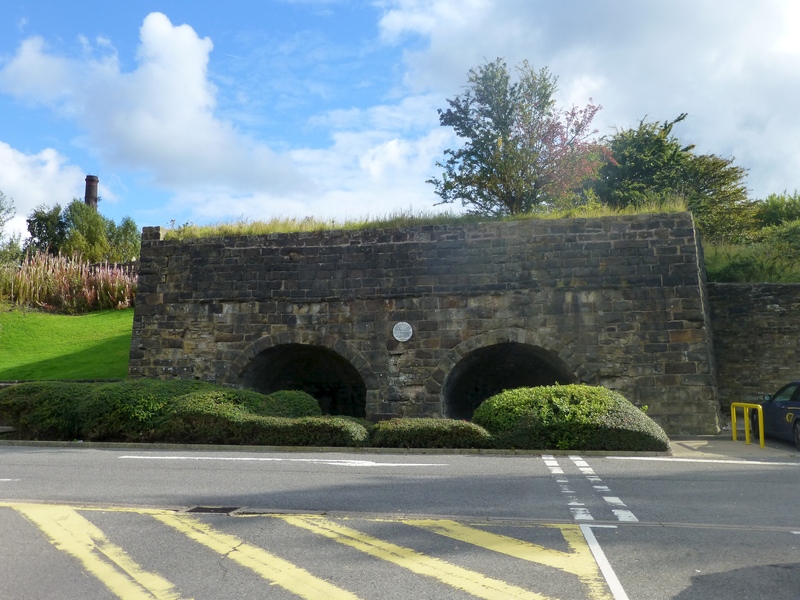 Walking across the car park on a small business park in Burnley, Lancashire, you might observe a couple of alcoves in the brickwork near the Leeds to Liverpool canal. The sight was preserved by Sainsbury PLC which used to have a store on this site before relocating elsewhere in the town. 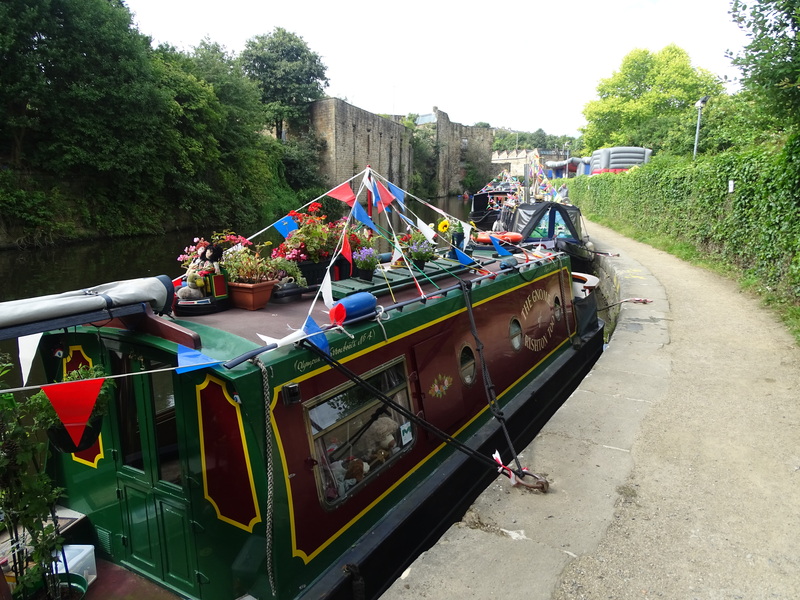 This weekend we had the Burnley Canal Festival centred on the Inn on the Wharf. 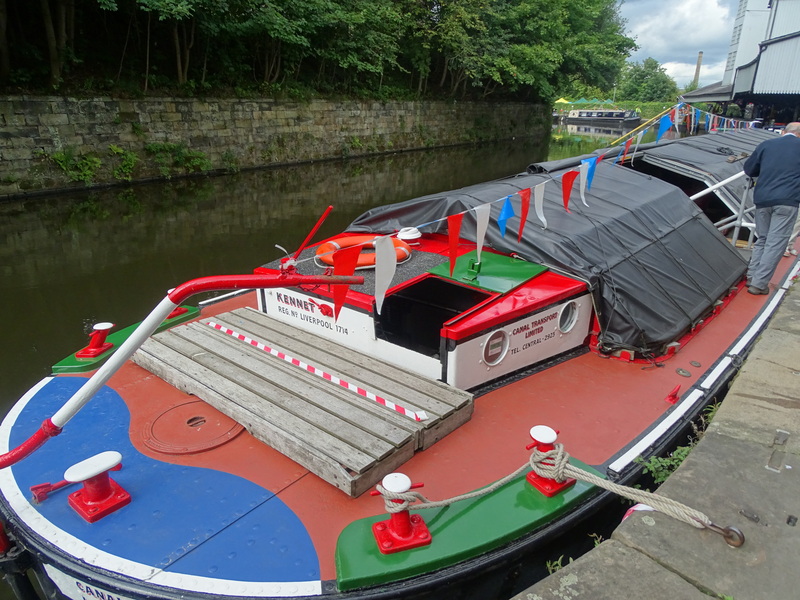 In addition to a number of pleasure boats or narrow boats there was an old cargo short boat converted to a museum, The Kennet, which used to travel up and down the Leeds to Liverpool canal. 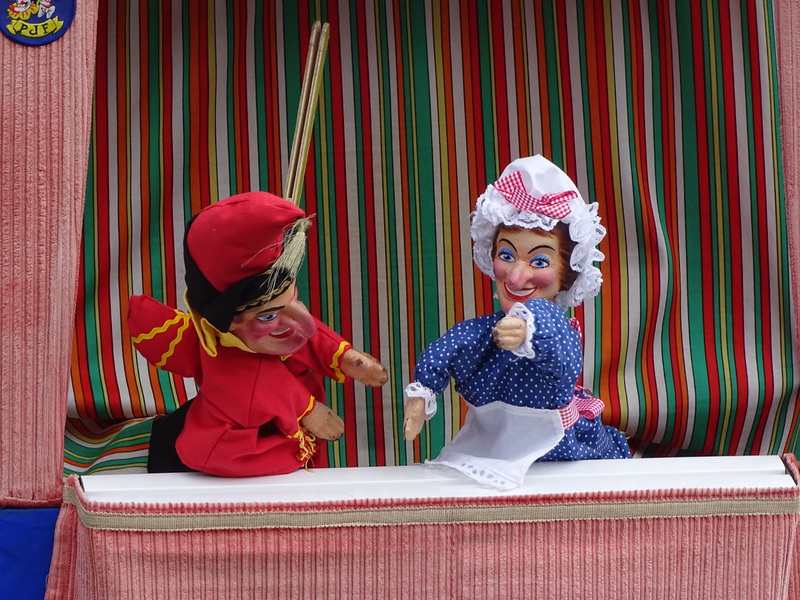 There was also entertainment for visitors. 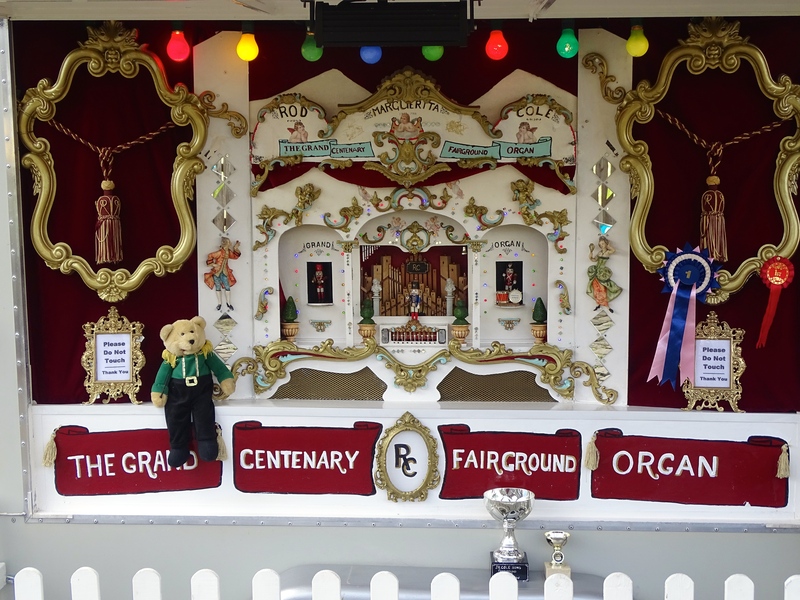 These ranged from fairground rides, a Punch and Judy show much enjoyed by the children and nostalgic parents, to performances by the Burnley Silver Alliance Band. 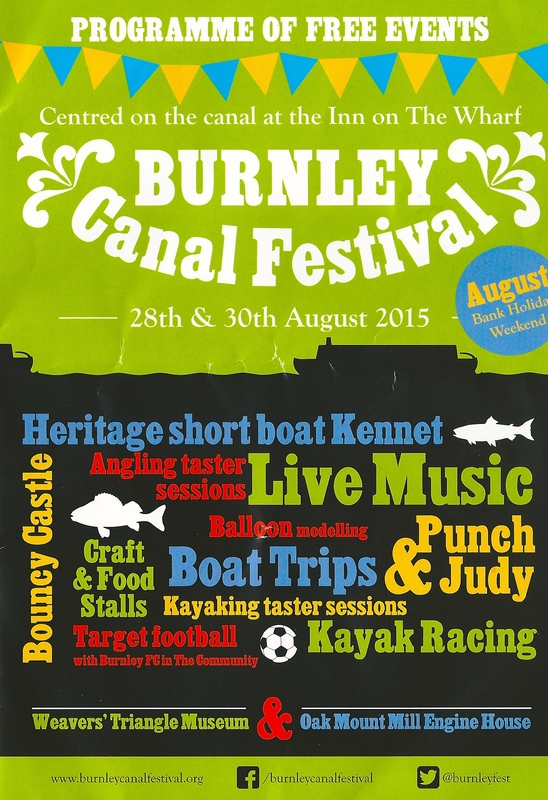 There were food stalls, face painting, craft stalls, and canoes for you to try your skills. And many of these were free. 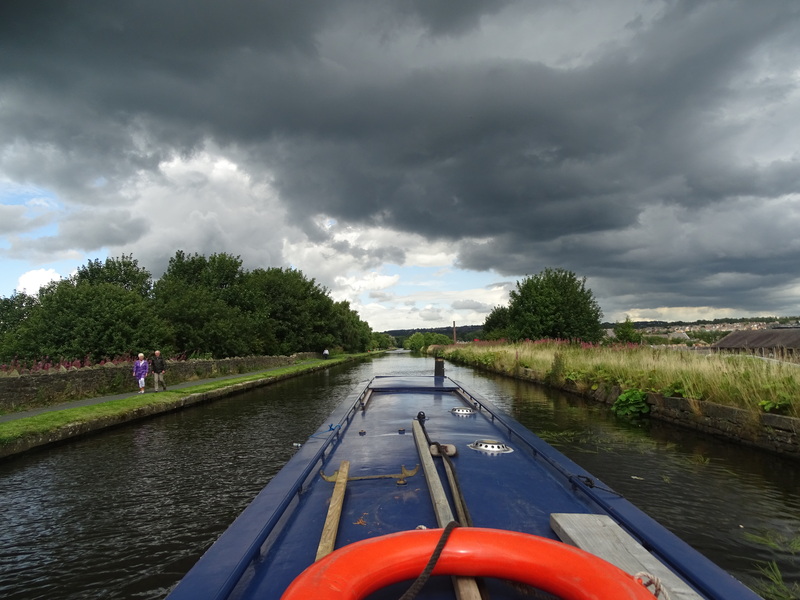 There was also the opportunity to travel in a narrow boat up and down the canal for an hour. Our grandson loved this especially when he was allowed to steer and then share a Titanic moment in the prow (if these boats call them that). The weather managed to stay fine and it was a good day out. 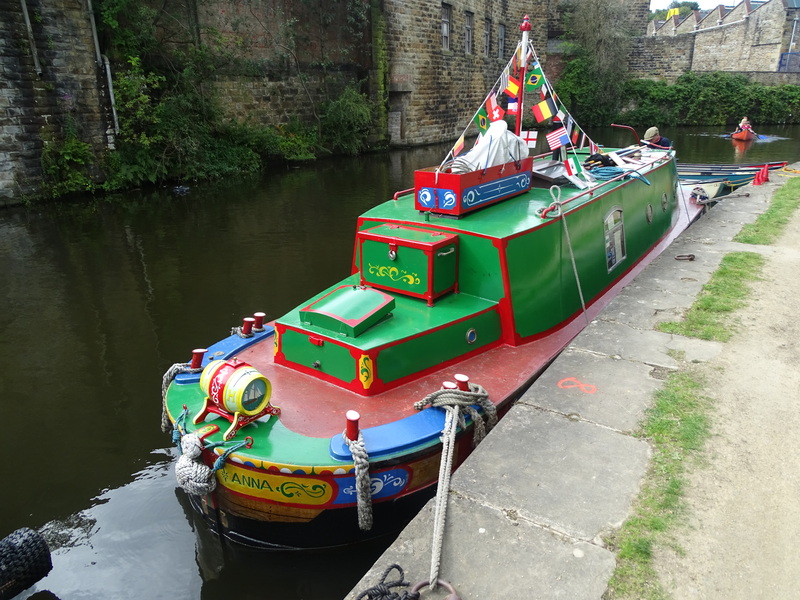 The Festival was on for two days and from what I could see as I drove past on the Sunday there were even more boats moored on the canal. Definitely something for the diary next year. Went to the Anchor Inn at Salterforth for a meal yesterday. 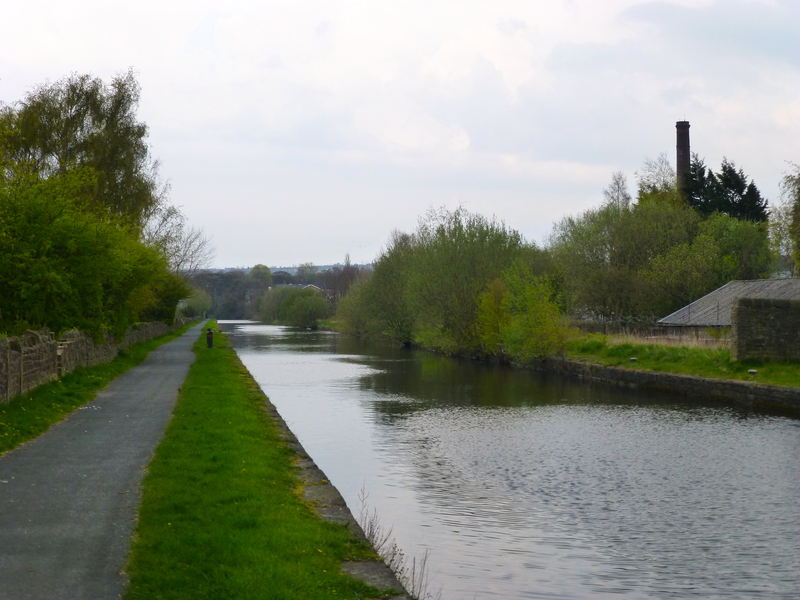 It’s right on the Leeds to Liverpool canal with a bridge next to it. Unfortunately it poured down all evening. 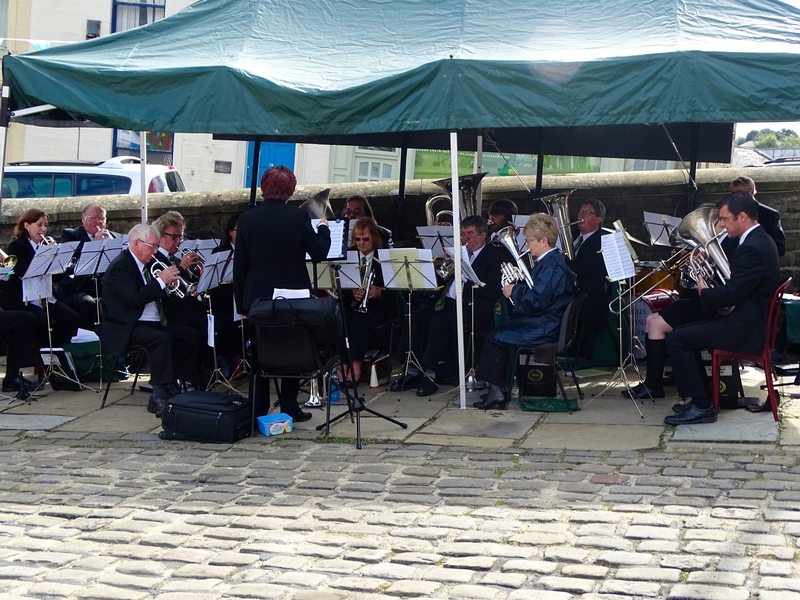 (Unlike my colleague who visited the Brighouse Canal & Music Festival at the weekend and enjoyed the sunshine). 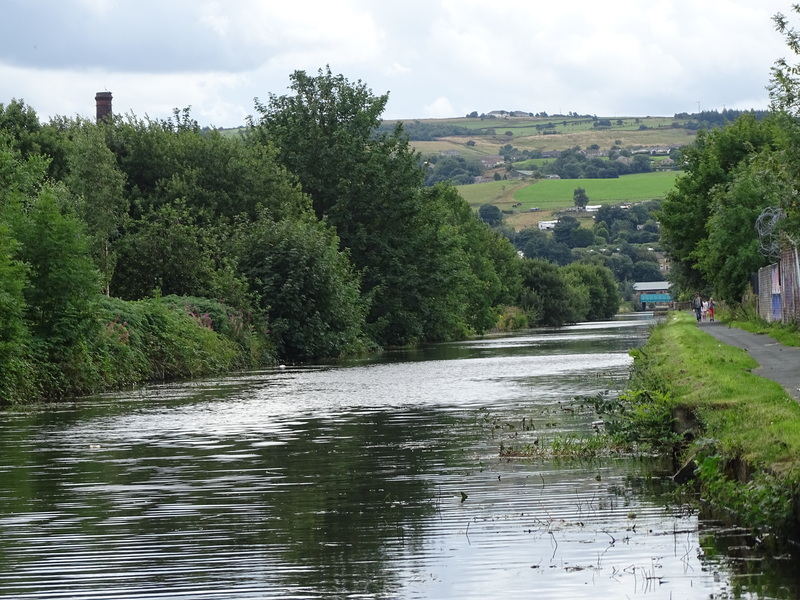 The Leeds ad Liverpool canal was closed and dredged a couple of years ago in this part of Burnley and the embankment rebuilt. 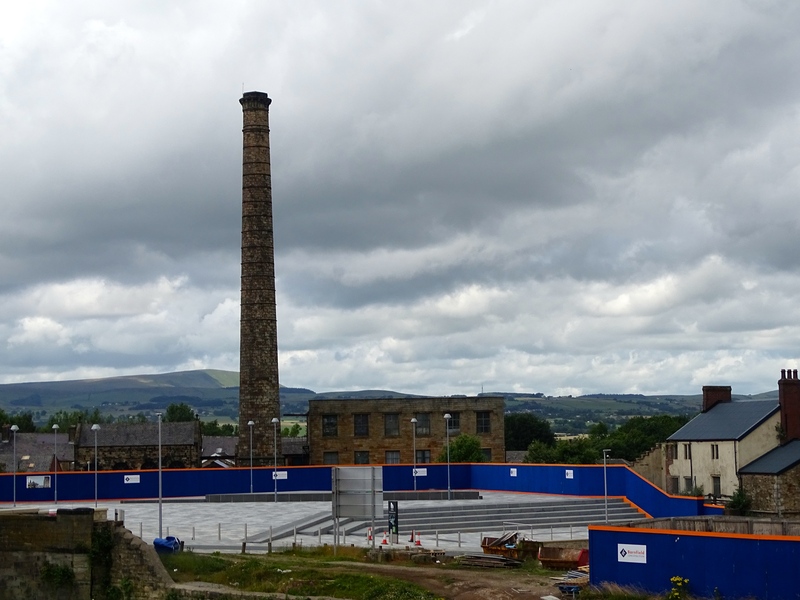 At the top of it there is a now a fish and chip restaurant and from its car park you can see views of Burnley, Lancashire, previously obscured by the shells of old mill buildings. In the first photograph you can see the open air stadium built for concerts etc The canal is out of view just to the left. 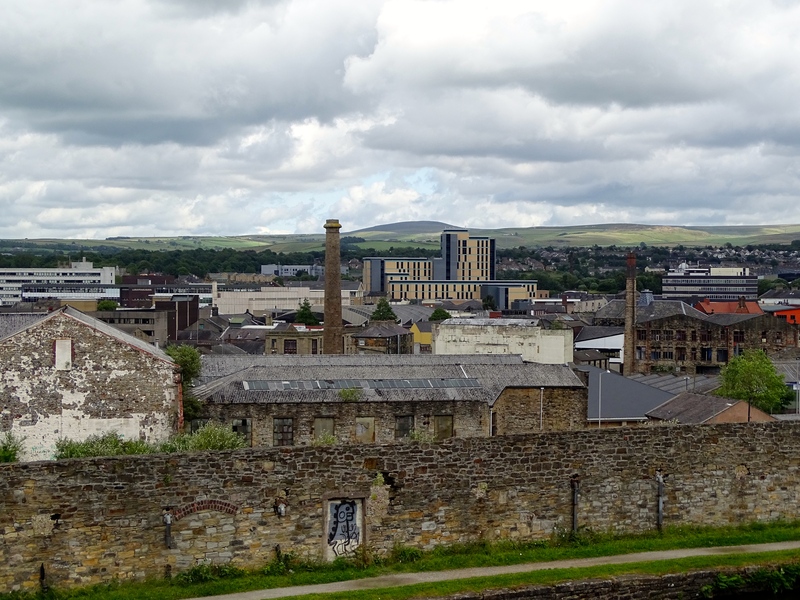 In the second photograph you can see a jumble of buildings from Burnley’s industrial past interspersed with some more recent and more colourful buildings. You can also just see the canal towpath at the bottom of the picture. The photographs were taken by my enthusiastic 4-year old grandson who grabs my camera whenever he gets the chance.